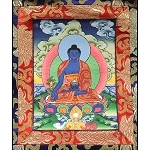 For Medicine Buddha pujas, Lama Zopa Rinpoche recommends to have on the altar a representation of the Medicine Buddha mandala in a mandala house. 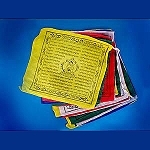 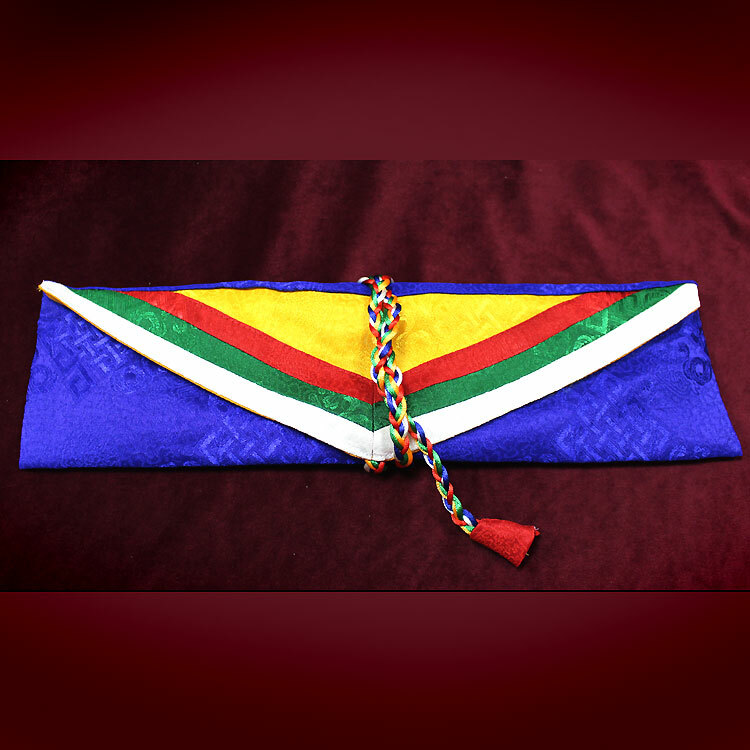 Above that should be a copy of the Medicine Buddha Sutra wrapped in five-colored cloth. 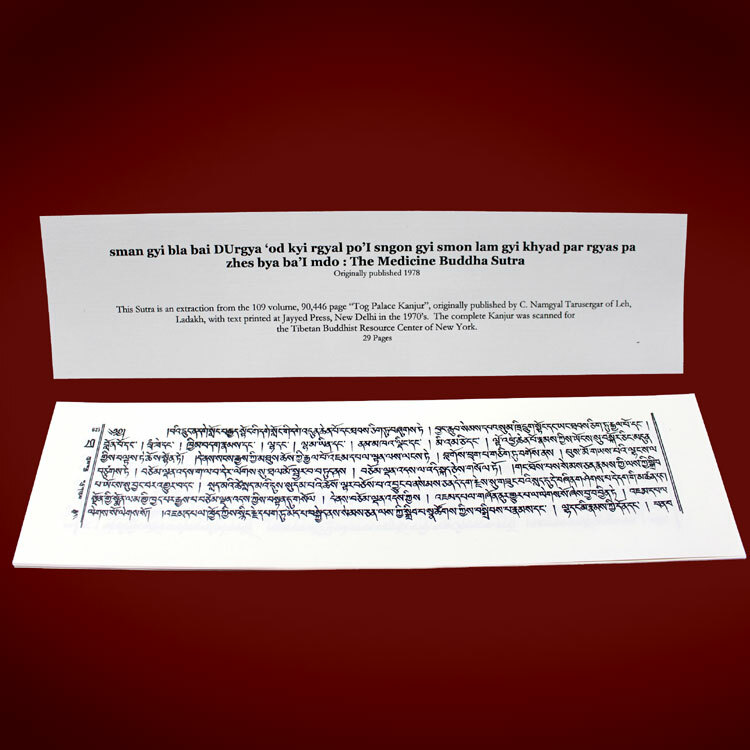 One printed copy of the Medicine Buddha Sutra in Tibetan from the Buddhist Digital Resource Center, pecha style. 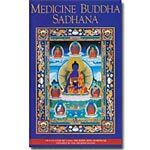 The Medicine Buddha Sutra, or Sutra of the Extensive Qualities of the Previous Vaidurya Light Prayers of the Bhagavan Medicine Guru, recounts the twelve aspirational prayers made by Medicine Buddha in his past lives that came to fruition through the force of his enlightenment. 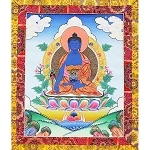 The sutra also recounts the great benefits of Medicine Buddha practice, such as those of reciting and hearing his name. 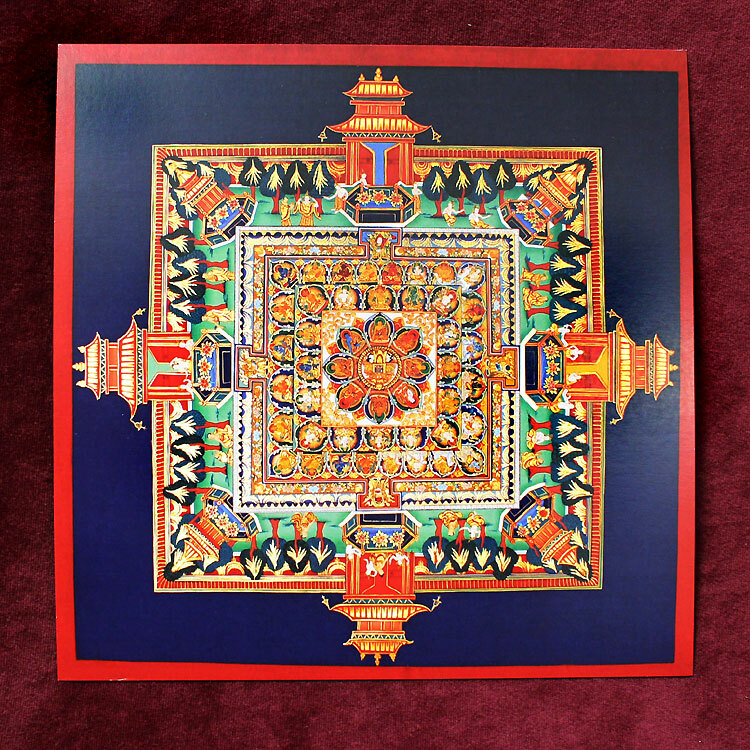 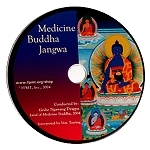 One printed copy of the Medicine Buddha mandala. 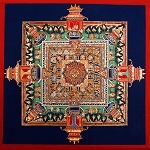 The mandala is a visual representation of Medicine Buddha’s purified environment. 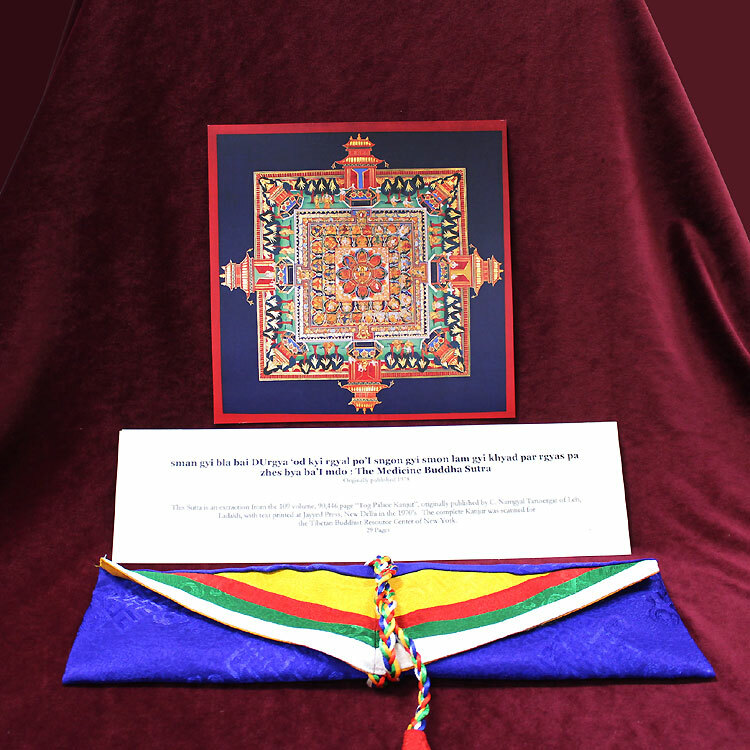 A wrapping cloth representing the Five Dhyani Buddhas, designed by Kopan Monastery exclusively for the FPMT Foundation Store. 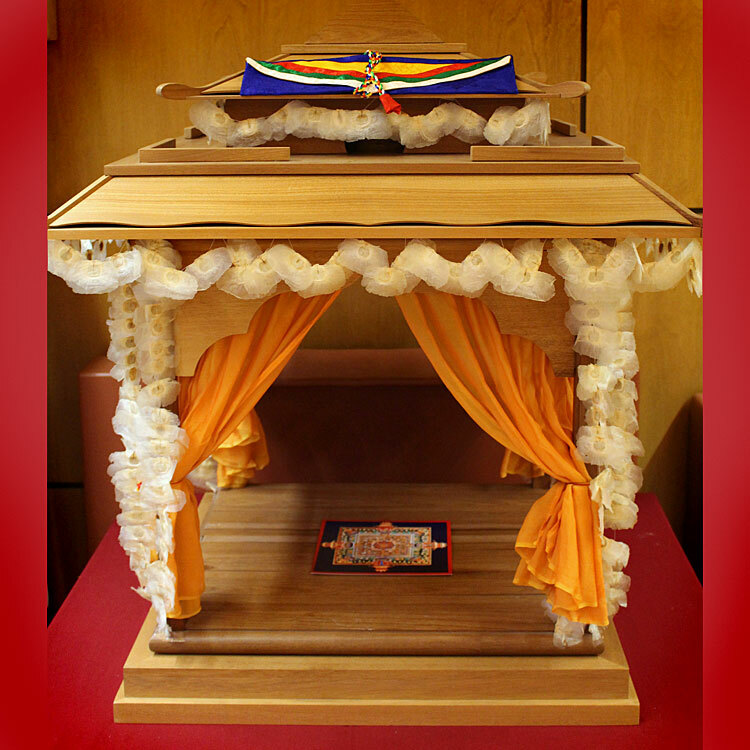 Note: Using a mandala house is considered the best method; however, it is OK not to have one. 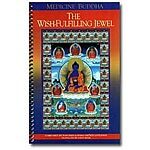 The book Medicine Buddha - The Wish Fulfilling Jewel is an optional companion to this set.